It’s difficult to believe that even at the height of her dizzying fame in the late ’80s and early ’90s, US songstress Martika never set foot on Australian soil to perform for her devoted fans. Little wonder why then, that Australia’s “Toy Soldiers” were so thrilled with the recent announcement from Frontier Touring that the singer would be heading down under later this year for her first ever live shows. So we jumped on the phone to Martika to chat about her pop gems, the forthcoming album and why she’s taken so long to tour. 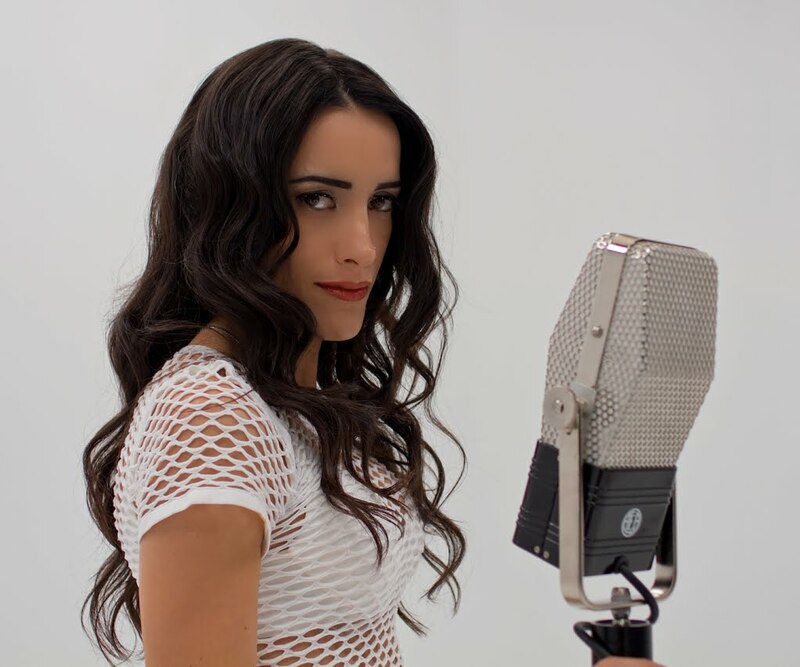 Though it may have been two decades since ‘Coloured Kisses’ became her last charting hit here in Australia, Martika tells us that she’s enjoying revisiting her teenage years and the hits that made her famous. “It’s a trip. It’s a journey for sure. It was just so long ago. I don’t know how many lifetimes I’ve lived since, so it’s kind of interesting to get inside the head of my teenage self again,” she says, admitting that at the time, she was a little overwhelmed by all the sudden global acclaim. But swim she did. And rather spectacularly, notching up a succession of chart triumphs across the globe, with singles including ‘I Feel The Earth Move’, ‘Toy Soldiers’, ‘More Than You Know’ and ‘Love… Thy Will Be Done’. The latter track was co-penned by Prince, who left quite the impression on the then young starlet. “Prince was one of my favourite pop artists, so for me to be able to actually visit Paisley Park and all the people that were behind some of that music that had influenced me so much was a very cool experience for me,” she tells us, revealing how the pair worked together. Major involvement or not, it didn’t really matter. ‘Love… Thy Will Be Done’ became Martika’s biggest hit here in Australia, maintaining its No.1 run for five weeks. It would be one of six top 40 hits for the singer in Australia and one of three top five smashes. But ask Martika what it is about those early hits that still resonates with people and she’s at a loss to answer. “I don’t really know,” she admits. “I have no idea other that I’m very grateful that some of the work that I’ve been involved with has left an impact that has so far been remembered by many people, so I’m very appreciative of that. Interest in Martika’s single ‘Toy Soldiers’ was once again piqued in 2004 when rapper Eminem sampled the track for his single ‘Like Toy Soldiers’. Martika recalls being incredibly humbled that he chose to sample her song. Martika also recalls the moment she first heard it on the radio. Throughout the late ’90s and the first decade of the new millennium, the “Martika” project was put on hold and the singer chose to work with her husband Michael Mozart on the Oppera project and later re-appeared under the Vida Edit stage alias. Fast forward to 2012, however, and Martika is back, with new music to boot. 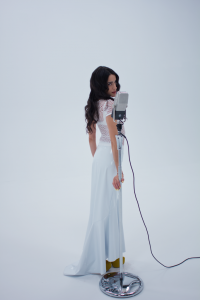 The singer is continuing work on her forthcoming album ‘The Mirror Ball’. As the title suggests, its primary aim is to get you on the dancefloor. “Yes, it’s most definitely a record to get you shaking your booty – and everything else hopefully,” Martika tells us with a laugh. “I wanted to bring something fun-filled, light hearted, happy and positive and something that people could have a good time with, escape a little bit from reality perhaps, put on at a party, go out to the club. We had my first single ‘More Than You Know’ remixed for the clubs at the time and it was quite a dancey, groovy kind of record. “It made a lot of sense after so long reintroducing myself to everybody to bring out something with the energy of that for starters. I will say that the people I’m working with are amazing and the beats are so hot. They’re doing some amazing electronica things in the studio. It’s just going to be over the top in the dance clubs. 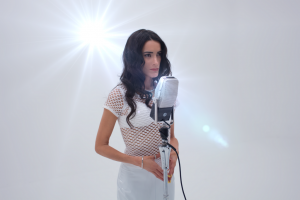 “We have the first single from the project out now,” Martika continues. “It’s called ‘Flow With The Go’, so you can get that online – the video and the song – and we’re working on the remixes of that. Right now we’re in the studio finishing off the recording aspects and the video for the second song which is called ‘Slow Motion’, so that should be coming out soon too. As mentioned, that live show will see Martika touring Australia for the very first time in September and October this year. She dropped the setlist late last week and promises plenty of treats to appease even her most ardent fans. “I’m absolutely doing all of the singles that were put out. ‘Toy Soldiers’, ‘Love Thy Will Be Done’, ‘More Than You Know’, ‘I Feel The Earth Move’, ‘Martika’s Kitchen’, ‘Water’, ‘Coloured Kisses’. I’m also going to be doing one that some folks request, ‘If You’re Tarzan, I’m Jane’. I’ve never actually performed that song live, even back in the day. “I’ve really let the fans tell me what they want to hear. There’ll be songs that will rotate in and out keep the show fresh – songs like ‘Broken Heart’ and ‘See If I Care’. Some of the new songs I’ve been telling you about… A ballad called ‘Heartache’ which is ohhh… wait ‘til you hear that one. That’s pretty much the set list. I really want to give people what they want to hear and something new as well,” she says. Martika’s single ‘Flow With The Go’ is available digitally now. The new album ‘The Mirror Ball’ is, according to Martika, due later this year. Martika will tour Australia for the first time ever in September. Tickets for all dates (below) are on sale now. Wow, she looks like a greyhound now. We removed your comment because of a statement within it which we believe may be legally not in our best interests to have published. What’s up with her face?